Ever since he caught the public's attention with his debut album in early 2001, Teddy Afro has been a household name in Ethiopia. He is a melodic singer and prolific songwriter. “Ethiopia”, a single that appeared on his new album, racked up millions of views on YouTube as soon as it was released. His album attracted sales of up to 6 million Ethiopian Birr — a feat that no other Ethiopian singer has ever managed to accomplish — which is telling commentary on his popularity. The recurring theme in Afro's albums, is the need to nurture countrywide harmony, unity, and love which transcend ethnic and religious boundaries in his beloved Ethiopia. The response to Afro's album has been mixed. Teddy’s fans and detractors either apotheosize or admonish him based on his fame, his lyrical perspective — even his album's cover art. Since the release of the album’s single, “Ethiopia”, three weeks ago, much of the debate on social media has been about the politics of Afro's songs. 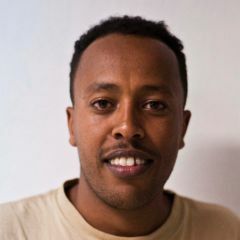 He received an unprecedented amount of criticism for being simplistic — penning lyrics that misrepresent the history of Ethiopia, the poetic quality of which, some believe, mixes cliché and nonsense. Afro was once denied playing a gig in the country's capital, after authorities refused to issue a permit for the concert. He was also prevented from leaving the country for a concert abroad. In 2014, some individuals campaigned against him to strong-arm a beer company to cancel its sponsorship of Teddy’s national music tour over an alleged “politically insensitive” comment in an unpublished weekly magazine. Many blame the current regime for the gradual erosion of the shared Ethiopian identity. In what appears to be a response to the government’s over-emphasis on ethnic identity, Afro's songs pay tribute to early Ethiopian civilization, history, and culture. He praises national figures of the past and considers them as enlighteners. In his latest album, he honored Tewodros II, a 19th century Ethiopian emperor who fought the British. In his fourth album, he did the same for Emperor Menelik II, who defeated the Italians in 1896 at the Battle of Adwa. “His tributes to past Ethiopian leaders and his devotion to “love and unity” represent an old Ethiopia, a defeated ideology.” a defeated ideology? 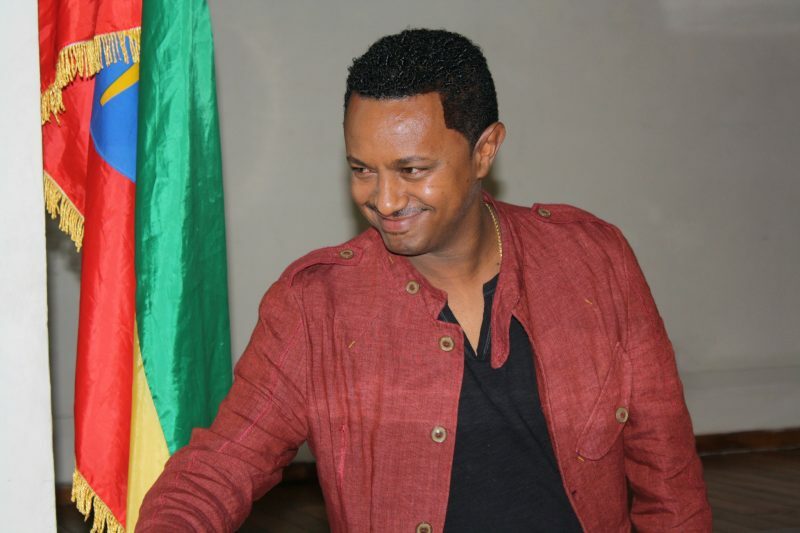 “የቄስ ሚስት አወቅሽ አወቅሽ ሲሏት መጽሐፉን አጠበች” ሆንክብኝ። አንተ ደግሞ ማነኝ አልክ? If you took your time before commenting, you would understand that thinking is attributed to government supporters and ethnonationalists. whatever Teddy Afro songs are about past history he is singing about love , unity about mother land and one country Ethiopia not about tribe, group or party or it is not about one tribe superiority or inferiority! Great Article… Please, Correct How much the Album was sold to the Distributors. It’s 6 Million Birr, not 15 Million Birr. Teddy has contributed to his country and the generation regarding solidarity, reconciliation and love. He represent the feeling and aspiration of the majority. Don’t try to jump here and there. Just write the truth and only what you truly believe. I am afraid you write what you know but what makes happy few handful minority dictators. Hope you will correct it. Teddy, dubbed : “Unifier” and the person who preaches “love” systematically skips Tigray’s Emperor Yohannes IV,l in one of his songs that lionizes Emperor Tedros, Emperor Menilik and Emperor Haile Selassie. Except blind supporters who are consumed by his ethnocentric and politically charged content believes he’s a unifier. He’s actually alienating ethnicities. He discriminates against Tigrians all the time (because of Tigray people’s perceived political stance). He always tries to trash Tigrians history. How pn earth an Ethiopian singer would skip a well known Emperor while mentioningthe rest in order? The irony, the Emperor political singer Tedros didn’t want mention died at Semein Gondar, Metema, defending Ethiopia. History transcends. You are among those narrow minority tigrians who are killing our country!! Think not as an animal! but the writer is simply describing the ‘raison d’etre’ or how these people think. whatever the reason for his song and his opponents, Tedy afro has risen beyond control. Yes, he is controvercial, but who is not in Ethiopian politics. he is just a genous artist. Even if I would not necessarily agree with his philosophy, I love his music beyond limit. When we crticize Tedy Afro’s album,we must also consider the situation he is going through. Think one Ethiopia! then please! listen him optimistically!! by ignoring others!! Please disregard the previous submission. Teddy, dubbed : “Unifier” and the person who preaches “love” systematically skips Tigray’s Emperor Yohannes IV, in one of his songs that lionizes Emperor Tedros, Emperor Menilik and Emperor Haile Selassie. Except blind supporters who are consumed by his ethnocentric and politically charged content, no one believes he’s a unifier. He’s actually alienating ethnicities. He discriminates against Tigrians all the time (because of Tigray people’s perceived political stance). He always tries to trash Tigrians history. How pn earth an Ethiopian singer would skip a well known Emperor while mentioningthe rest in order? The irony, the Emperor political singer Tedros didn’t want mention died at Semein Gondar, Metema, defending Ethiopia. History transcends. How can you say, “Despite claims that Afro’s songs represent a defeated ideology, …”? I suggest you not to conclude whether it is defeated or winning with no data at hand; just because you want it does not mean it is what is there on the ground.